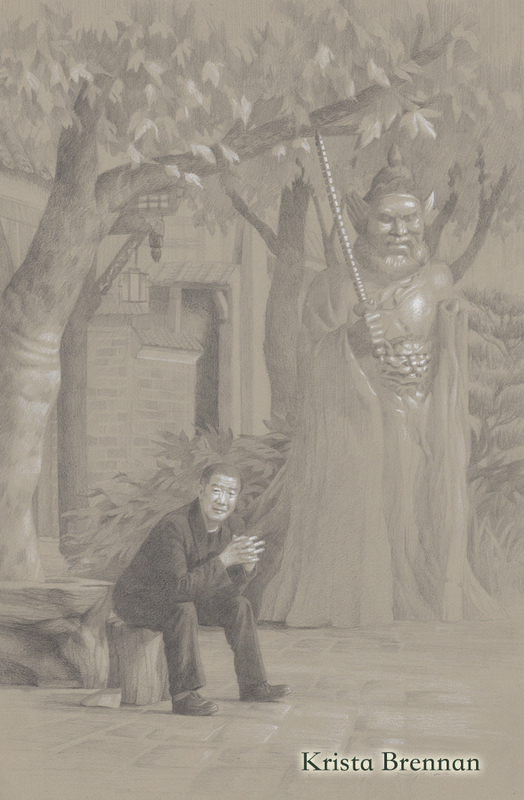 Taking inspiration from my first trip to China, this is a study for a later painting. I loved the character of the man, juxtaposed with the intensity of the statue. Pencil and chalk on paper, 2017.